Following on from the first part of our Downing Street series, we conclude by summarising the most recent 130-odd years of the venerable street. 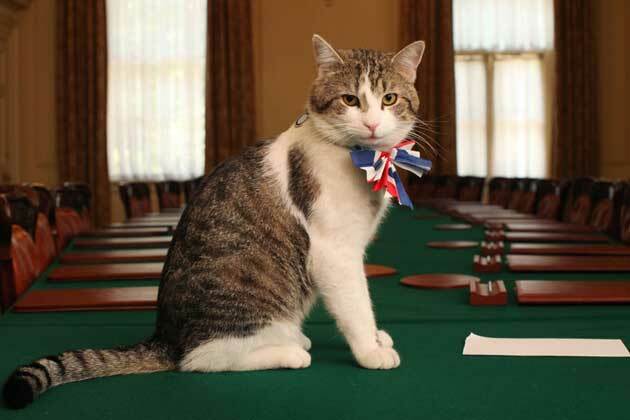 In this episode, we covered the official mousers resident in Downing Street, and many of the political scandals, near-misses and general mayhem of British politics. As in the first episode, we made extensive use of RJ Minney’s book on 10 Downing Street, and less extensive use of Christopher Jones’s book on the topic. When it came to cats, this lovely little book from the National Archives, as well as their podcast on political cats were useful, as well as reading the endless newspaper coverage of the many celebrity cats. Main image HM Government from Wikimedia Commons.